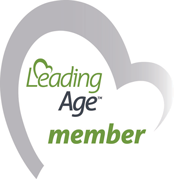 Retirement Living Designed with You in Mind! 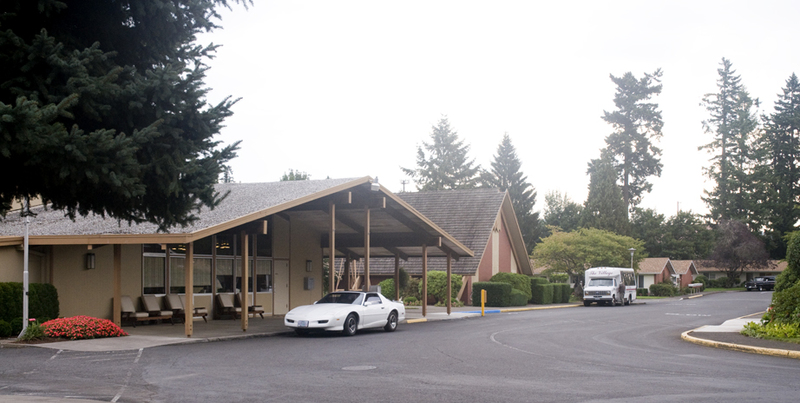 The Village Retirement Center is a ‘dream come true‘ for seniors. 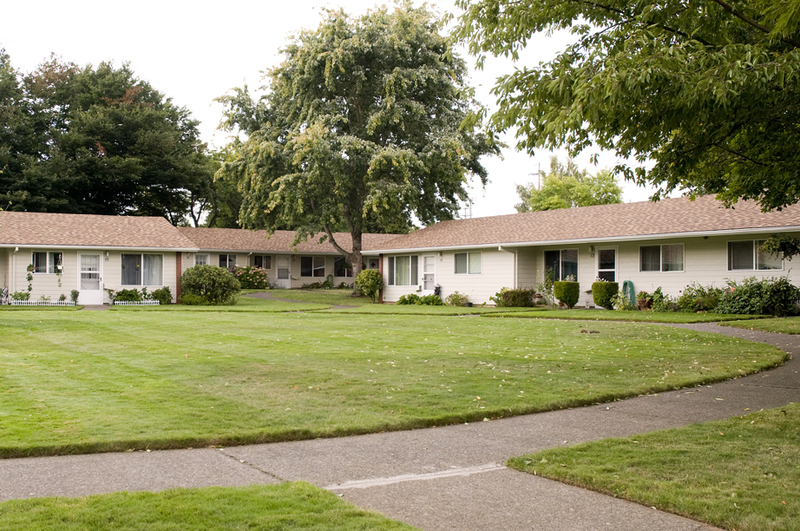 It is a community of retirement homes for those who have reached their golden years. 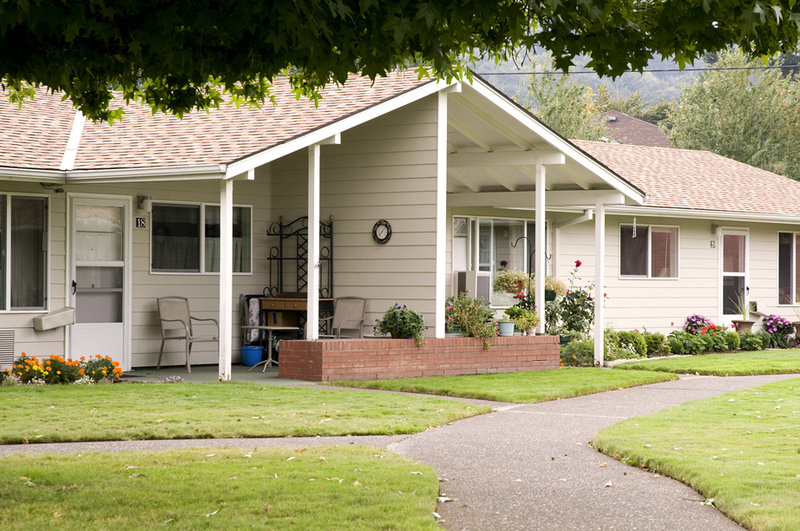 We offer a home of your own combined with a friendship of others in a quiet Christian retirement community. The Village is located in beautiful Oregon! 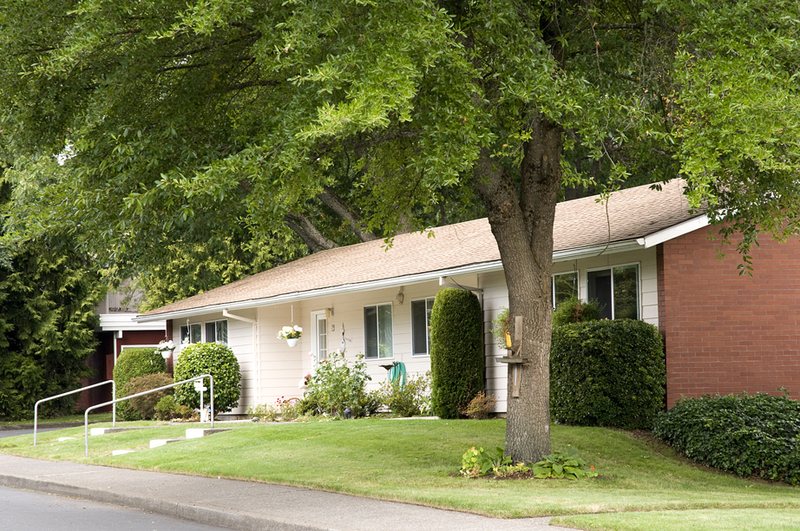 We’re located in an appealing area of Gresham, Oregon, just on the outskirts of Portland. Our location is known for its mild climate and beautiful scenery. The Village gives you the chance to pursue and enjoy your retirement dreams; to develop skills, learn new things and share your knowledge and expertise with others. At The Village you can be as busy and involved or as relaxed as you wish. We offer many opportunities for our residents to be making a difference both in our own community and in our general area. We realize that living with a purpose makes life better both for those helping and those receiving help. Volunteering is an easy way to make sure we are living with purpose. 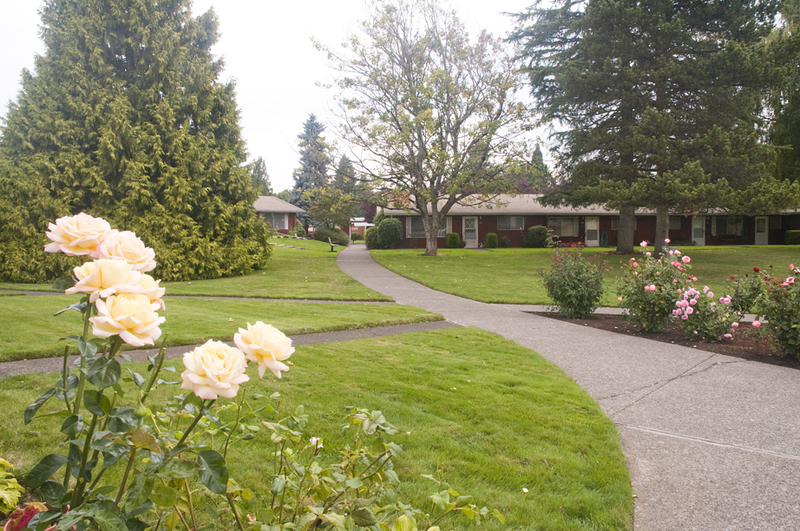 The Village Retirement Center is a private, non-smoking, not for profit senior living community. Though not officially connected with the Seventh-day Adventist denomination, The Village was started in 1963 by Seventh-day Adventist businessmen and is governed by a Board of Directors who volunteer their time and expertise. 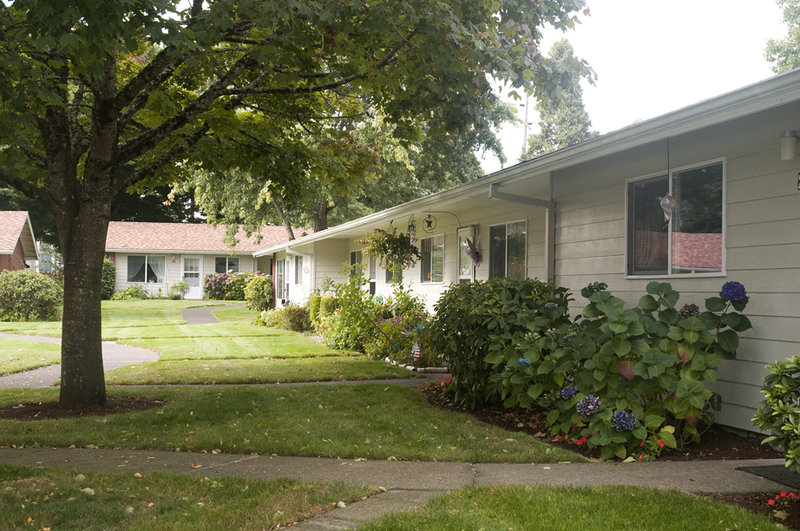 The Village offers contentment that comes from knowing that you are living in a peaceful, relaxed retirement community that is staffed with caring individuals twenty four hours per day, seven days a week. 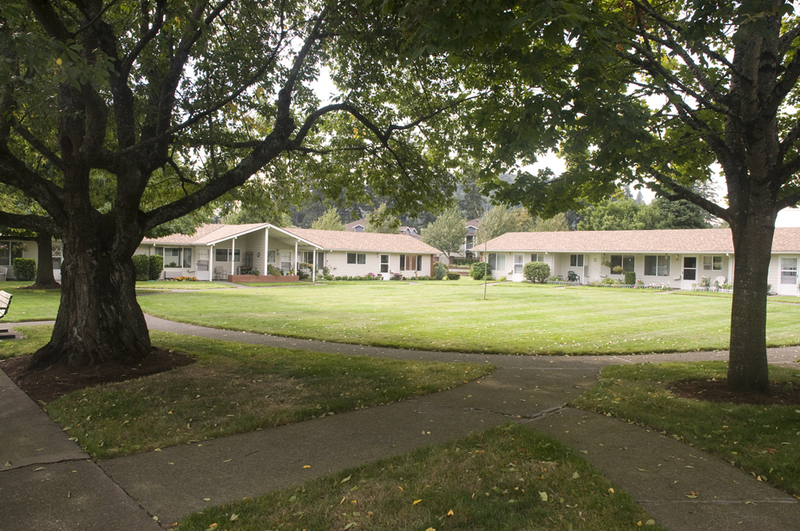 The Village is situated on 16 park-like acres. 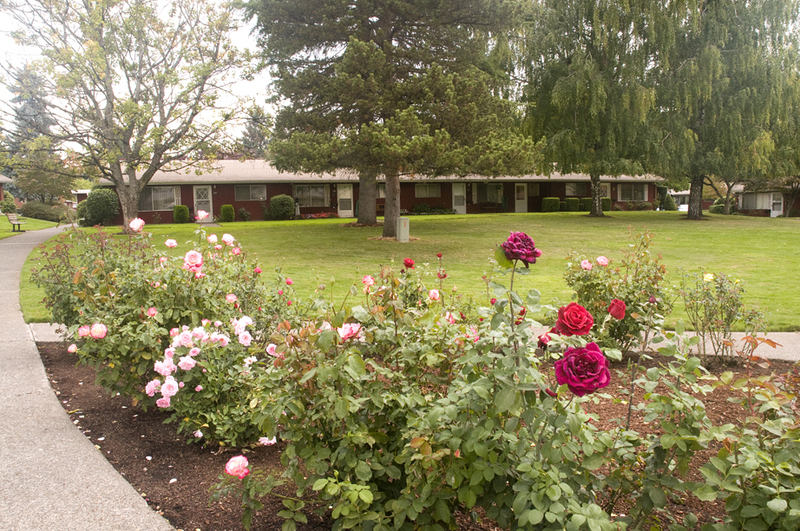 Here you can enjoy the peacefulness of the landscaped grounds, or in a matter of minutes, you can be shopping in downtown Portland or Gresham. There are several suburban shopping centers within a few blocks. Bus service to and from The Village is excellent. The Village is a community of single level dwellings ranging in size from one bedroom apartments to spacious two bedroom-two bath apartments with attached garages. 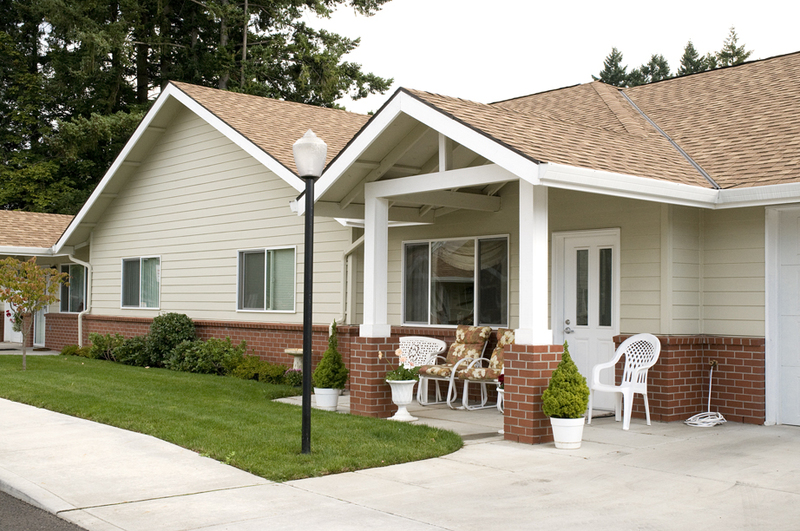 The Village provides elegant senior living options in a wide variety of pricing and sizes to meet different needs. At the Village we offer Activities, as varied as your interests, to keep you as busy as you want to be. Our spacious grounds allow you to walk among beautiful and varied landscapes. 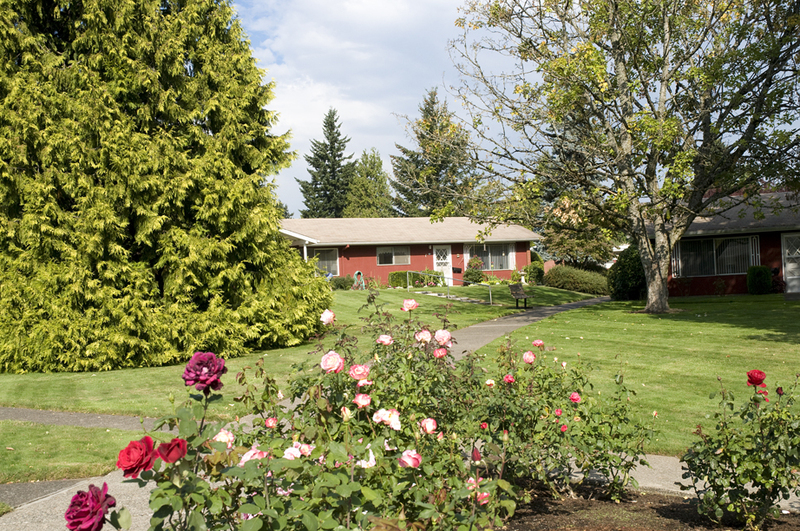 There is space near your retirement home for your own selection of flowers, shrubs and/or vegetable gardens. We also ensure that you don’t have to suffer from second-hand smoke by prohibiting smoking. 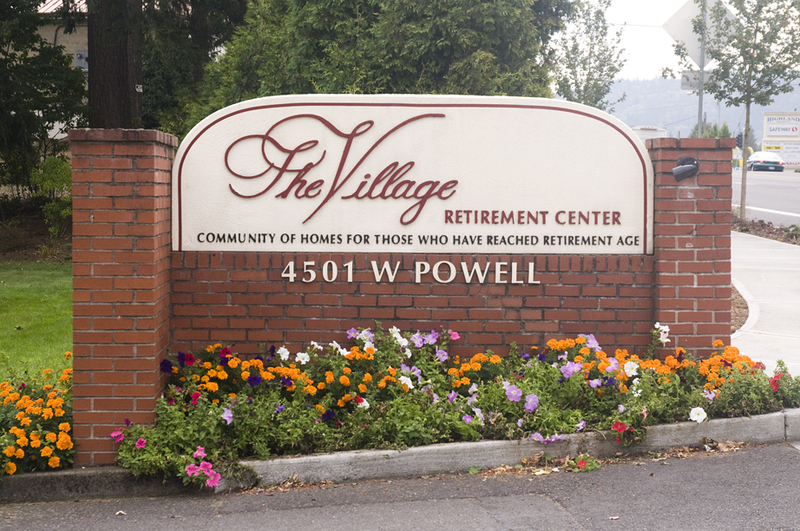 At The Village, our popular facilities and activities include: The Community Center, library, woodworking shop, beauty/barber salon, exercise classes, Bible study groups, Resident council, special dinners, game groups and volunteer opportunities. The Community Center has private meeting rooms available for your personal parties and get-togethers. 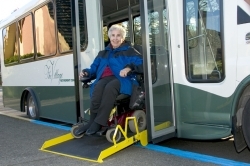 The Village Activity Director and the Resident’s Activity Committee plan many activities such as musical programs, picnics and birthday parties as well as trips on The Village Bus. These include beach visits, sightseeing excursions, dinners out and cultural and educational programs. Downtown Gresham is just 2 ½ miles from The Village and Metropolitan Portland is only 20 minutes away and provides museums, libraries, concerts, cultural events and entertainment for added variety. The Village was designed for your comfort and pleasure. 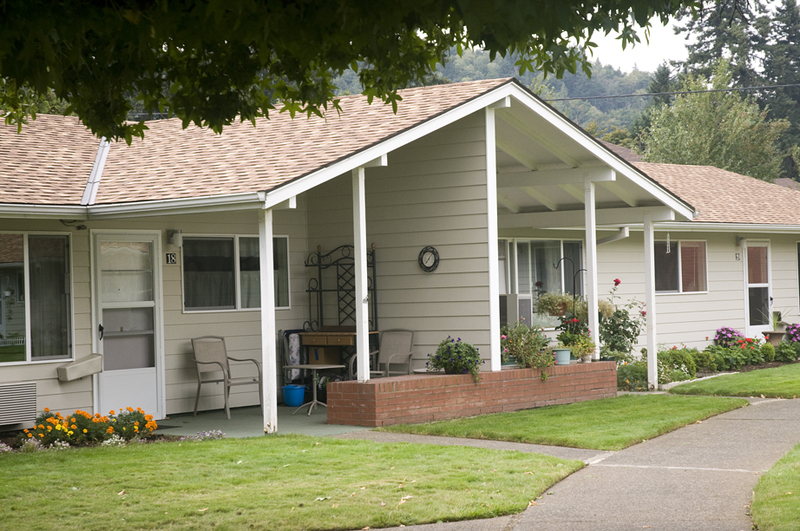 Each retirement residence has a private entrance and an individual patio area with lovely landscaped grounds that blend into the setting of rolling hills, green lawns, and beautiful flowers. 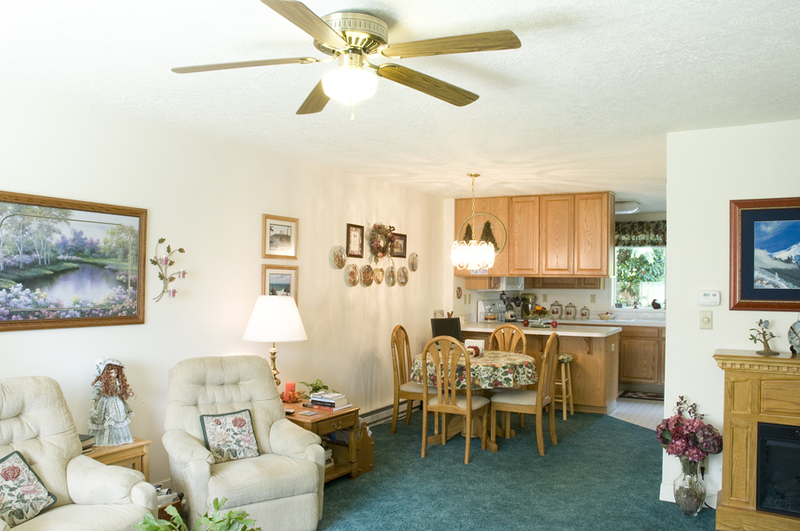 Our retirement home interiors are carpeted wall-to-wall and furnished with a range, refrigerator and microwave. 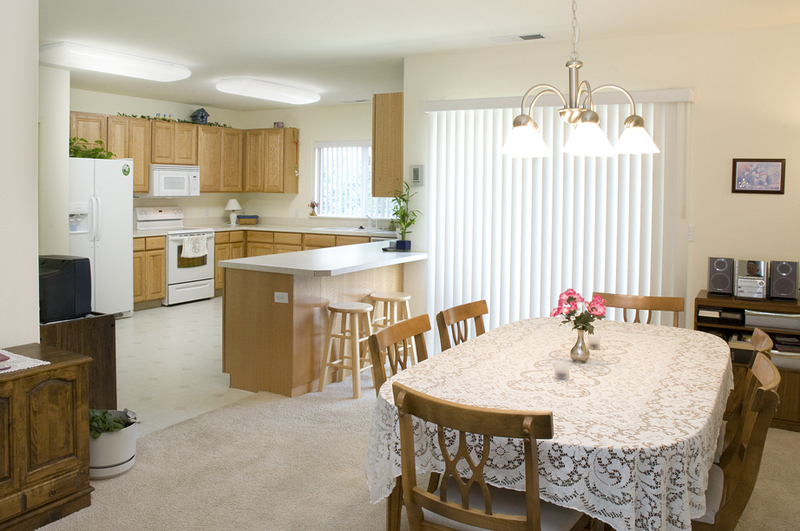 Most units are also furnished with a dishwasher and a washer and dryer. 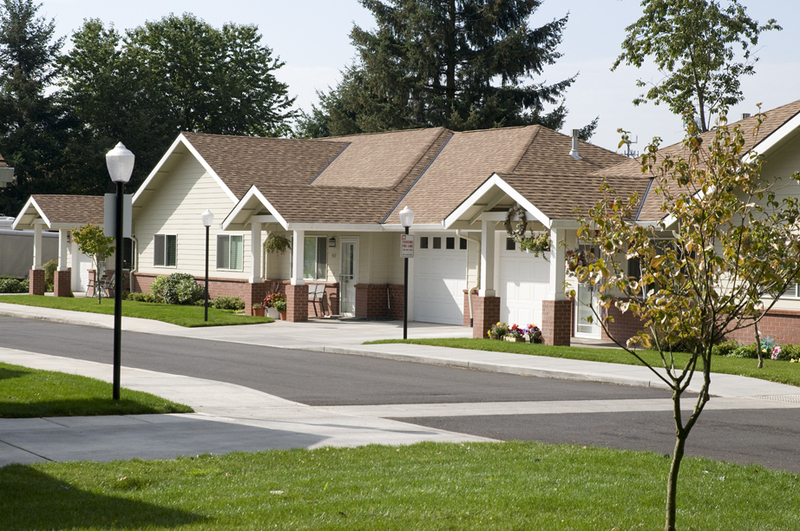 Each home is completely weatherized and features its own heat pump/ air conditioner. Bathrooms are equipped with either shower or tub/shower combinations. Laundry facilities are provided. The Village maintains the common grounds and utilities. 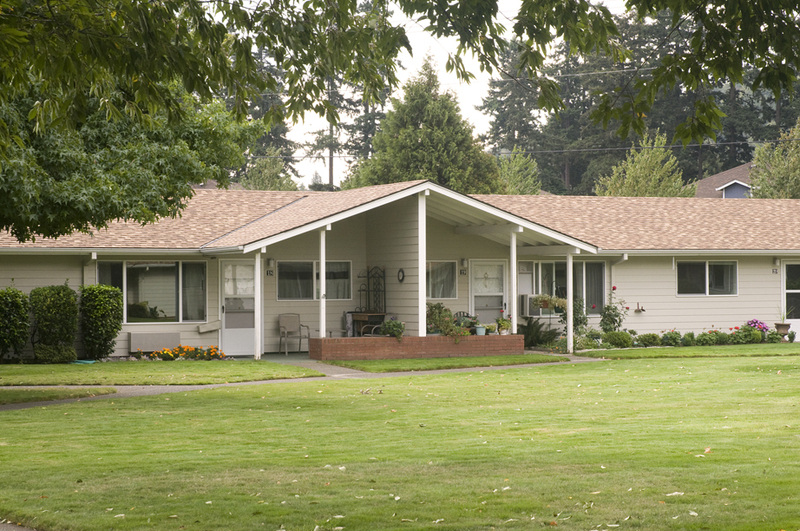 There are many different retirement home sizes and configurations that you can choose from. Prepaid Rents and monthly service fees are determined by the size of the unit, so you may select the size that best meets your needs and your situation. The Village also offers a community Dining Room with reasonably priced meals served three times a day. The Lunch meal is the main meal where you may come as you wish. Plans are available for one, two, or three meals daily. The Dining Room offers many healthy choices and provides both meat and vegetarian selections. You are encouraged to join your neighbors in the dining room. Family and friends are welcome any time. Holiday and special occasion dinners are held throughout the year for all to enjoy. Holds up to 200 worshipers and is available to members of our community in their varied faiths. Regular worship services are scheduled throughout the week. 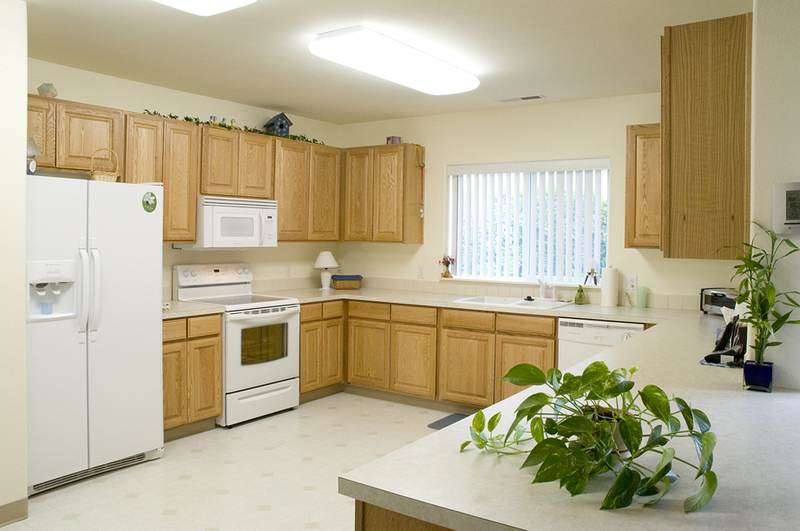 These units are designed for current residents who want to have their own unit within the Community Center and desire three meals a day and light housekeeping included in one simple fee. The Village offers transportation for medical appointments and grocery shopping on scheduled days of the week. The Village bus takes bigger groups while the mobility van takes smaller groups. Recreational trips are also offered both in the Portland Area and also to other areas of interest in the Pacific Northwest and beyond. Many activities are held in the Community Center where the dining room, chapel, library, resident services center, beauty salon, recreation room, meeting room, activity office and administrative offices are located. The Village is staffed by caring professionals in every department. Their goal is to provide the best service possible for residents. It’s your home Few rules and regulations exist at The Village; only those necessary to support your right to independent retirement living. 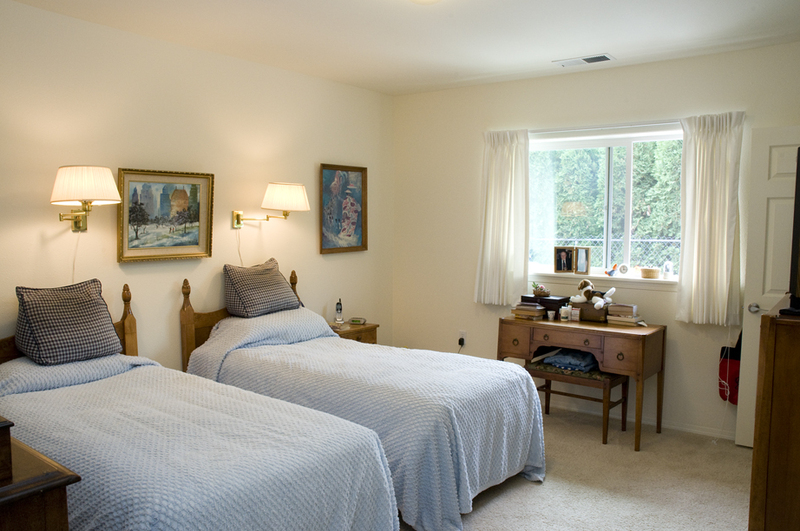 It is your home at The Village and is waiting to be furnished and decorated by you. Guests are welcome, a parking space for your automobile is available, and if need be, arrangements for an additional car space, carport, R.V. space, or garage can be made. At the Village you can experience the Not-for-Profit difference where service to residents is of utmost importance. Come see for yourself. Call and arrange for a personal tour.